NASA Jet Propulsion Laboratory (JPL) engineers simulated this final sky crane landing sequence of the Curiosity Mars Rover using MSC Software’s Adams multibody dynamics software. The simulation identified problems with the initial concept design and guided engineers as they resolved these issues and made the design more robust. The simulation was also used to validate the landing sequence and determine loads on subassemblies and components. The controls software code that guides the mission through the sky crane landing sequence was integrated into the Adams environment to validate and tune its performance. The accuracy of these simulations was proven by the success of the mission. 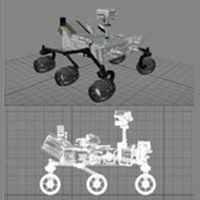 Validate the landing sequence and determine loads on subassemblies and components on the Curiosity Rover during its historic landing sequence on Mars. 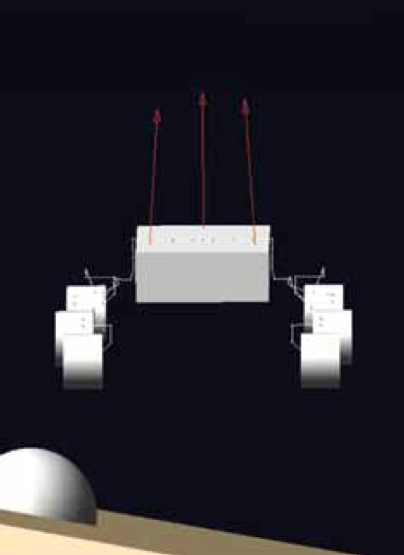 The engineers at JPL were not able to test most of the critical mission events on Earth so they had to rely upon MSC Software simulation technology to design most of the hardware and control sequences for this mission. Optimize the design of every component to ensure their ability to withstand loads and successfully perform their mission. Determine the bounding limit design loads that could be expected on every component. Ensure that there was no possibility of contact between the flight hardware.